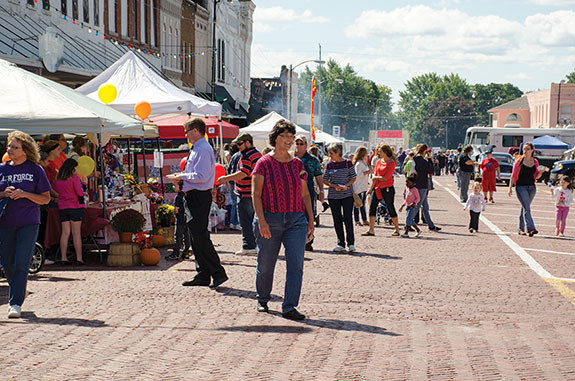 The next Huckster’s Day is scheduled for September 16-17, 2016. 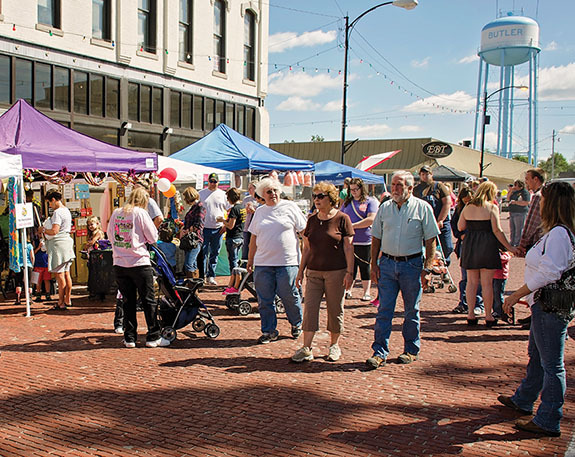 Sign up to be a vendor, BBQ contestant or judge here. 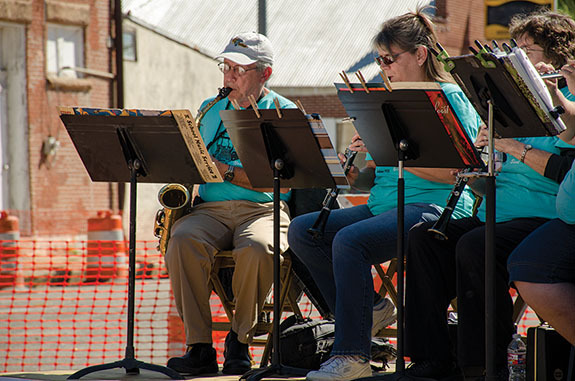 Huckster’s Day & BBQ Contest 2015 started Friday with crafts & food booths opening at 5 p.m., and Multiphonics – a band from KC, started playing for the street dance at 8 p.m. We had great weather for both days, although Saturday dawned a little chilly. 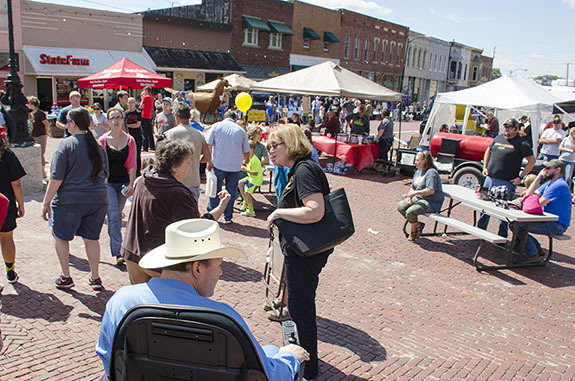 If you’ve never attended Huckster’s Day, the festival has always had strong support from the community. 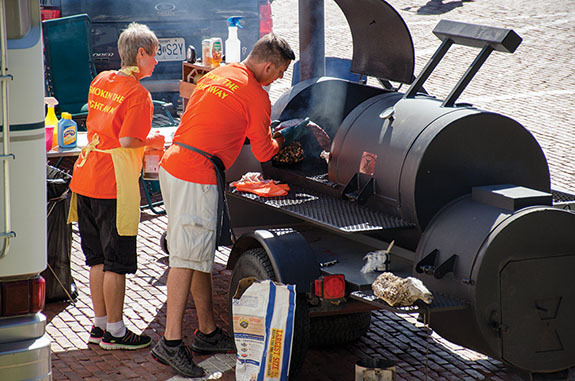 Enjoy the photos below, and consider attending or participating in next year’s BBQ & Huckster’s Day on Sept. 9-10, 2016. 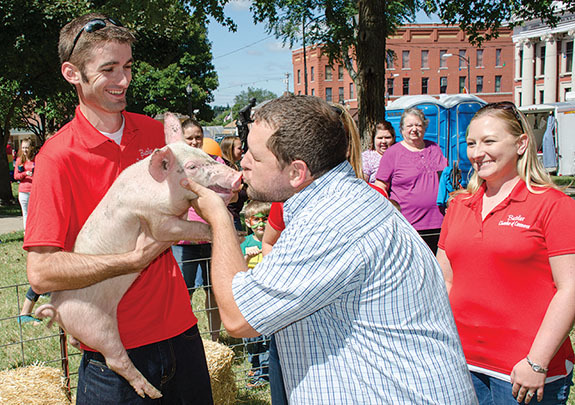 Butler High School Principal “won” the Kiss the Pig Contest, voted on by citizens of Butler. 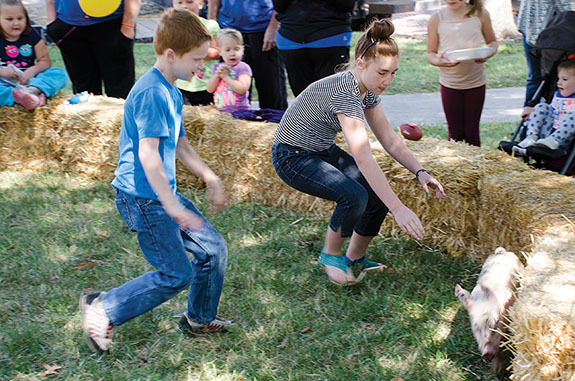 Chamber board member Lee McLain is pictured holding the piglet, board member Miranda Parks at right. 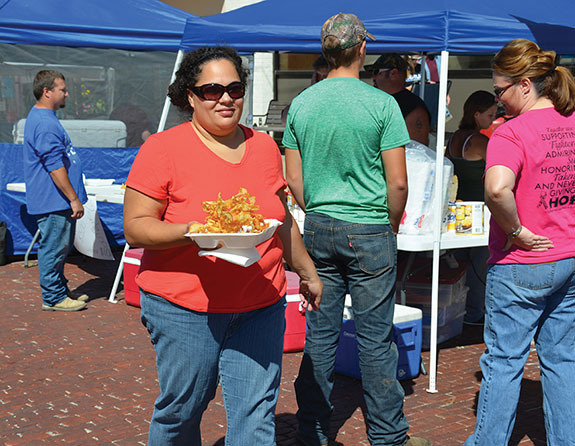 Bates County Cattlemen enjoyed long lines all day long. 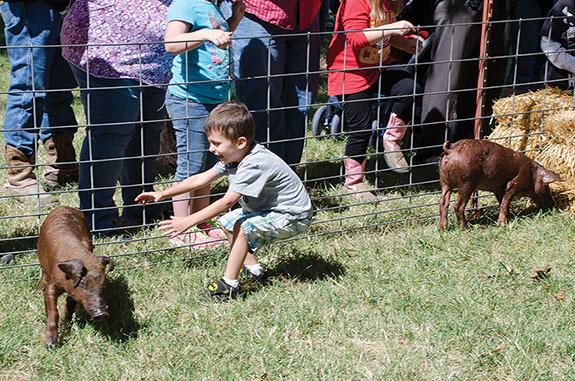 Kids games were sponsored by Medicalodges. 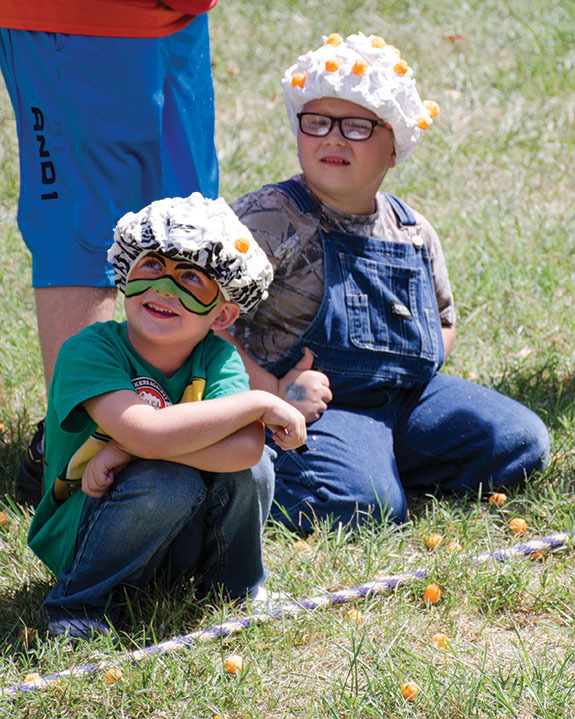 Who wouldn’t love a game with Cheese Puffs and shaving cream? 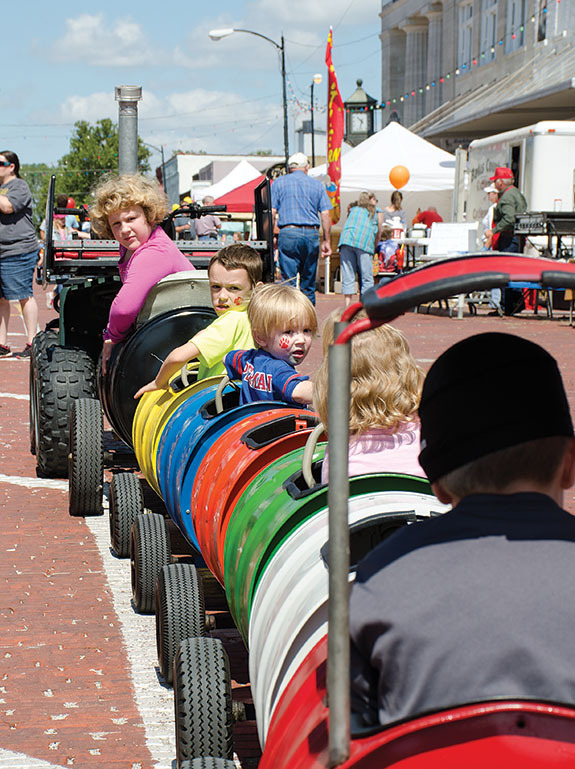 St. Matthew’s Lutheran Church runs the kids’ train every year – and rarely is a seat vacant throughout the day. 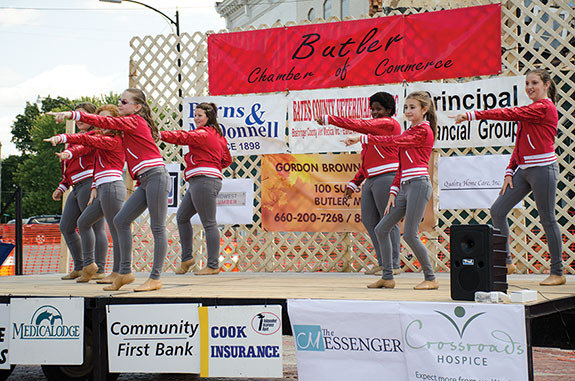 Live entertainment was featured throughout the day, like the Connie White School of Dance from Harrisonville, Mo. 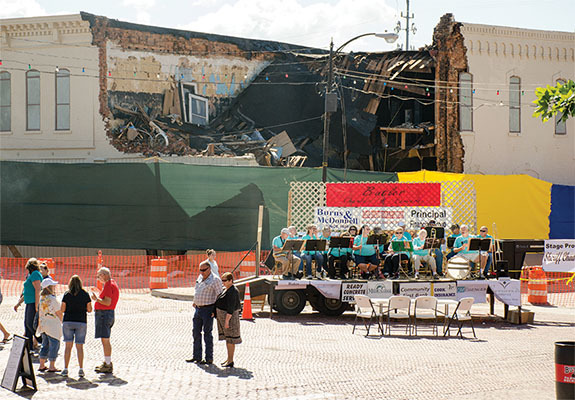 Earlier in the summer, the building in the background spontaneously collapsed, said to be as a result of a lightning strike. 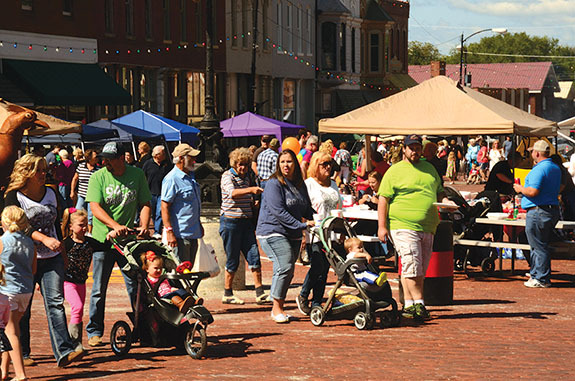 The Huckster’s Baby Contest, sponsored by Community First Bank, always draws a crowd. 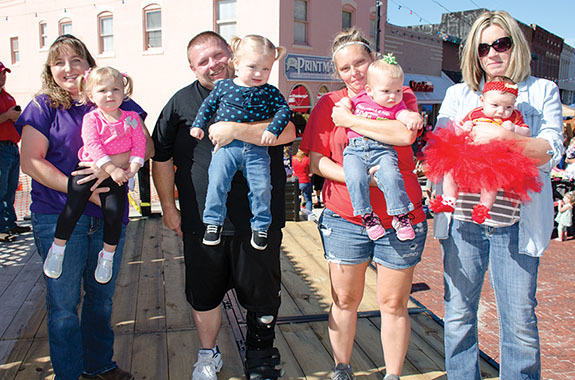 Pictured, from left – Avery Loe, 23 months, daughter of Derek and Jamie Loe of Amoret; Corie Coonce-Bearce, 17 months., daughter of Jack and Tosha Bearce of Papinville; Kynason Doll, 10 months, daughter of Josh and Sheila Doll of Butler; Melanie Varns, 3 months., daughter of Blayne and Stacie Varns of Butler. 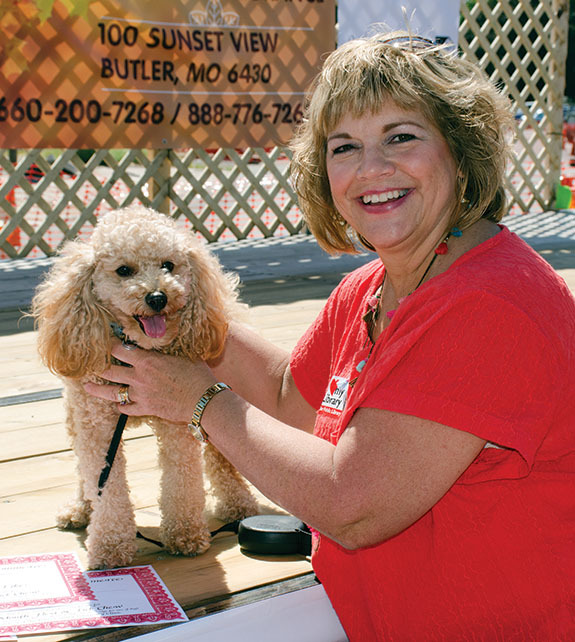 Holly Rabourn of Butler, Mo. almost didn’t enter her Golden Doodle, Tucker for the Dog Show. 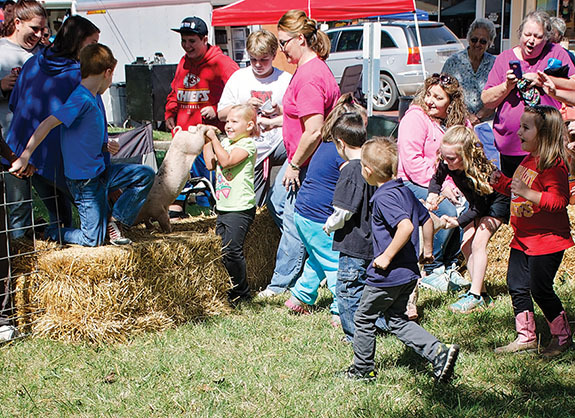 In the end, Tucker won three categories – Best Trick, Owner Look-Alike, and Best in Show. Tucker made us think we should create a new category – happiest dog. 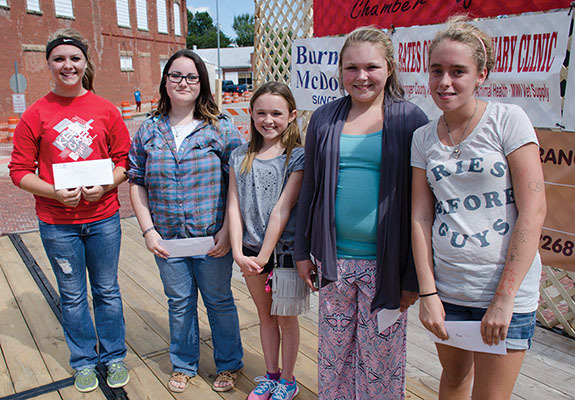 Talent Show winners, sponsored by The Messenger, from left: first – Anna Spencer of Hume, 2nd – Mikayla Lawrence of Butler, 3rd – sisters Makenzie and Haylee-Ann Smith of Butler, and 4th – Alexis Ladehoff of Butler. 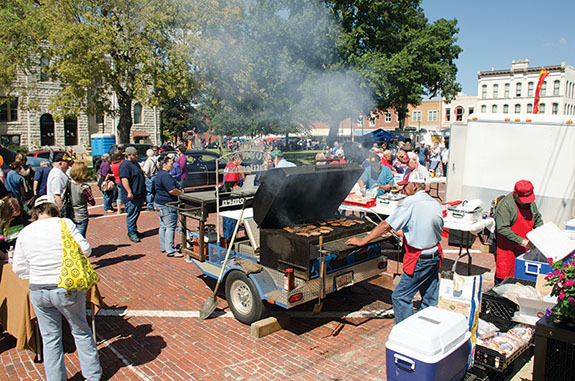 BBQ teams cooked right there on the square. 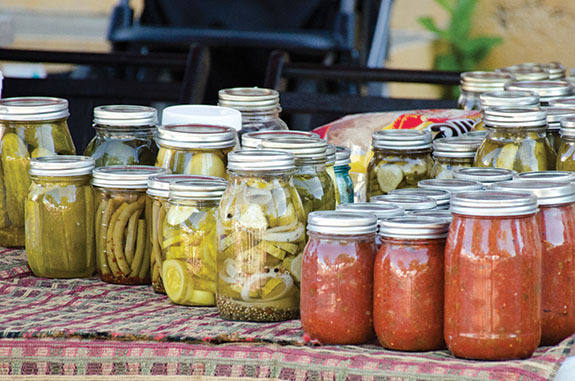 Pictured, Smokin’ the Night Away. 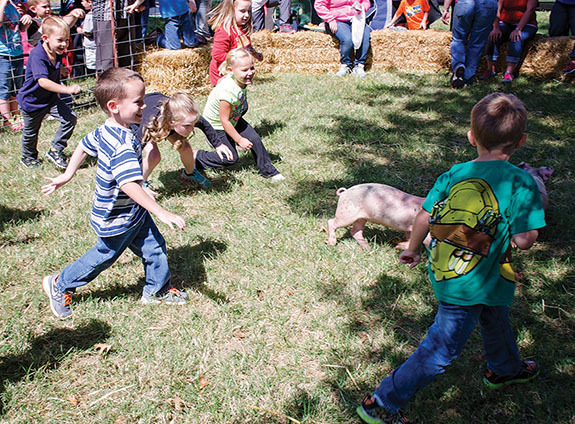 Plan to attend next year’s BBQ & Huckster’s Day. 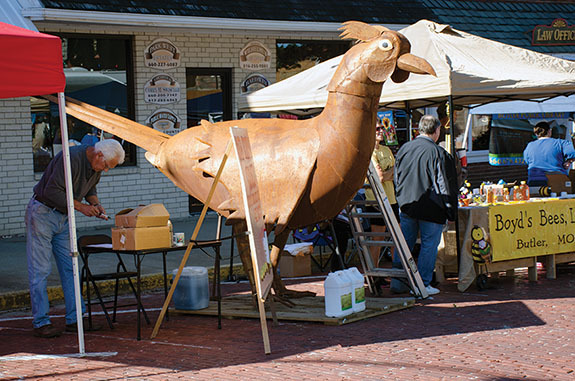 You never know what you’ll see (a rusty chicken!) – or get to eat!